Rainy days are truly a blessing. It’s a time to relax and get into crafts. 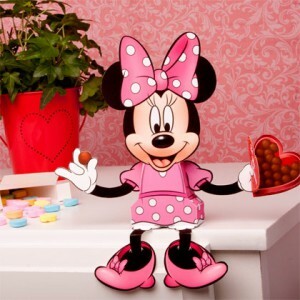 I did give you a wide variety of Disney Character Treat Boxes to make for your children. And let’s not forget the Free 3-D Printable you can made of R2-D2 for all your Star Wars fans. For many, rainy days bring up thoughts of Halloween . . . I don’t know why, but ghost stories and the like are a favorite on rainy days around my house. Also thoughts of all those urban legends you heard as a child or teen. There were lessons to learn from them . . . and the thought of them brings a cold chill down the spine. Then, a rainy day is a good day to curl up with a nice book . . . a mystery is always my choice, but a romance may be more to your liking. There are also videos you may enjoy. But crafts seem to win out for me. What Kind Of Rainy Day Craft Do I Have For You? Click The Lighthouse To Be Taken To The Download Page. And click here for the assembly instructions. I love the haunted houses . . . especially if they have a story associated with them. Ravensblight has a variety of 3-D haunted house free printables you can print out and make. Ray O’Bannon offers an interesting history to go along with most of his papercrafts. This lighthouse is no exception. According to Ray, all the previous lighthouse keepers have gone insane . . . I don’t want to ruin the story for you. Be sure to think about it while you’re constructing this lighthouse . . . 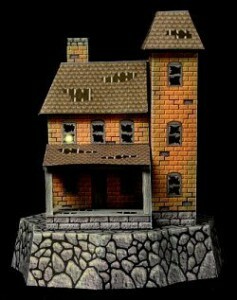 It stands 10-1/2 inches high and would be a wonderful addition to your Christmas or Halloween Village . . . or to have tucked away on a book shelf. I find it inspirational in my office. I look at it and wonder . . . 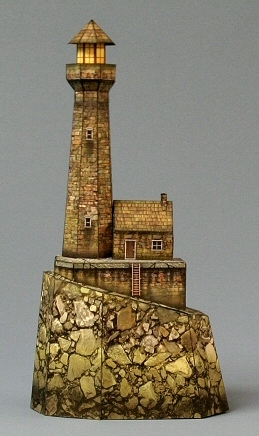 I think of all the other stories that are centered around a lighthouse . . . and Ray has some monsters you can add and you may want to add an old abandoned car . . . it’s always fun to add some added haunted accessories to make it more real and more captivating. Oh yes, I did forget the Cliff House. It, too has a delightful history. It is quite sad to see how it has wasted away over the years. The roof, the windows and the porch do give it quite a creepy, desolate feel. It is a miracle it hasn’t fallen down. But, in another decade or so, it may be just a memory. It’s good to keep busy and learn something new about Ravensblight. It is a website I visit often . . . but insofar as Ravensblight, the community . . . as a real place to live . . . uh . . . I think I’ll pass . . . This reminds me of a haunted place in a movie I saw quite a few years ago. A family went off the beaten path to find this ghost town . . . and as with most movies, wished they hadn’t. There is something to be said about curiosity . . . maybe somethings aren’t worth finding out . . . I just know . . . or I think I know Ray O’Bannon is having fun . . . and he’s created a wonderful collection of haunted toys that are free to print out and assemble . . . and he does warn you they are haunted . . . and he adds a history to go along with them . . . 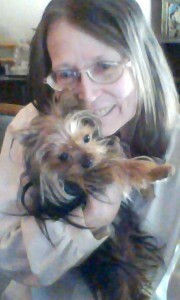 I hope you’re enjoying your day and will take a look at the links I’ve provided. Yes, you make your own caramel and pop your own corn. No, not the microwave stuff. You’ll need a popper . . . it’s about flavor, which must be savored . . . and anticipated. This is an old family recipe . . . it does pay off to save old recipes tucked away . . . I can’t for the life of me know why my grandmother put this recipe . . . never mind . . . let’s just say she hid her recipes in clever places. All right! Enough chatter . . . Let’s get to the recipe! You can add your favorite nuts to this recipe. I prefer it without, but that’s just me. You’re going to pop the popcorn in a popcorn popper for best results — don’t sneak in the already popped stuff or the microwave variety . . . good old fashioned popcorn. Get out your saucepan . . . we’re going to make the caramel. Your saucepan and stove top are going to get real chummy while you carefully melt the butter — be careful, you don’t want it to burn. Add the brown sugar, corn syrup and salt. You’re going to be doing a lot of stirring while you bring the pot of buttery sweet brown sugar mixture to a boil. Stop stirring, allowing the pot to boil for about 5 minutes. Remove your homemade caramel from the heat and stir in the baking soda. Get out the turkey roaster . . . no, I’m not kidding. You’re going to need it for all your popped corn. Once the popped corn (without the unpopped kernals) are in the turkey roaster, slowly and gently pour over your popped popcorn. Bake at 250° F for about an hour. No, don’t sit down and wait for the timer. Every 15 minutes or so, you’re going to have to stir the popcorn to make sure every piece is covered with the golden delicious caramel . . . and not burning this delicious treat on the bottom of the roaster. As the caramel popcorn is baking you’re going to need to taste it from time to time, closer to the end of the hour. Be careful!!! It’s been in the oven at 250° F. Be sure to blow on it — Don’t just pop it in your mouth!!!! Now, if it sticks to your teeth or is sticky and gooey, it’s not done. You want it crunchy not sticky. Remove your caramel popcorn from the roaster and break the clusters of popcorn apart. Be careful, it’s HOT!!! Allow to cool in the roaster, stirring it with a wooden spoon every 5 to 10 minutes to help it cool. I know you’re going to take a nibble or two. The popcorn gets cruncher as it cools. Grandma always put it in a crystal bowl . . . yes, put it in your fanciest bowl!!! This is an heirloom recipe!!!! Treat it with respect!! Speaking of enough . . . I hope you made plenty!! Your family is going to go wild over this!!!! But, take your time . . . it’s not a gobbled down treat (even though it was cooked in a turkey roaster)!! Savor the flavor! 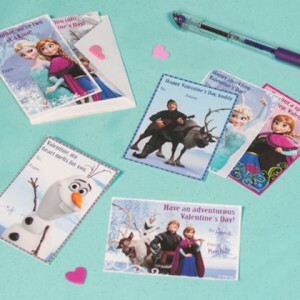 Family.Disney.com has you covered with their free printable Valentine’s Day Cards. I don’t know how you or your children’s school handles Valentine’s Day, but I know this was a fun day with a Valentine’s Day Party when I was a going to school. It was fun to pass out the cards and also to receive them. I know of some people who like to make their own or they buy packets from their local grocery store. Isn’t it amazing how the grocery store has all these extras for the holidays? It’s a good idea to begin a bit early . . . the last minute hurrying around doesn’t seem to work out as well as having everything together ahead of time. This is to be fun . . . not torture. 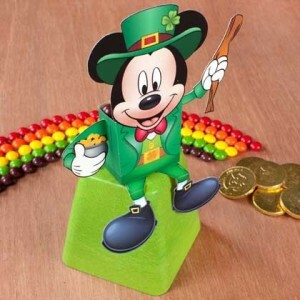 The Peter Pan pop-up card is great fun to make and give. 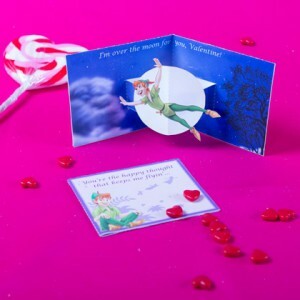 You may also like the Tinker Bell’s pop-up Valentine’s Day Card. I didn’t include the picture, but just click the link and you’ll be taken to the PDF file for printing. I do like pop-up cards. They’re a bit more work, but they seem to say that you cared enough to do something extra special. 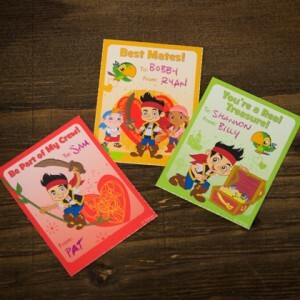 Jake and The Neverland Pirates are small and quite popular as are the Frozen Inspired Valentine Cards. Just click the image to be taken to the PDF file for immediate download and print them out. There are lots of other things you may like to print out as well. You’ll find some delicious cookies and cupcakes you can make for your own Valentine’s Day Party . . . or for a special treat for your children. There are also lunch book cards you can put in your children’s lunch box or backpack to give them a delightful surprise when they find it. It’s always nice to know someone cares. You’ll also find some boxes you can print out and make . . . then fill with candies or cookies . . . that will be extra special for family and friends. I do hope you have a love-ly Valentine’s Day. I know I did rush right into Easter . . . but I’m slowing down a bit and get with the calendar. And I’ll do you one better . . . I’ll include St. Patrick’s Day . . . All Free Printables. Yes, I have been focused on crafts lately. And it may continue for awhile . . .
I’m getting serious about paper crafts . . . getting into the mechanics of the process . . . and seeing what I can make on my own . . .
I’ve shared with you several 3-D free printables from various websites. I do appreciate them as you may also. But there does come a time when it is necessary to venture out and create some unique designs for yourself. It would also be a challenge for me to be able to complete a project from concept to completion. With the New Year, it is always nice to have a goal to work towards throughout the year. And, if it takes me longer, it will merely be a continuation into the next New Year. I do enjoy the flexibility of goals. They remain a goal until completed . . . and since they are your goals, they can be altered from time to time to reflect the new direction you may be moving. Yes, he is a candy box. It’s fun to give these throughout the year. I love it when children save them and set them up in their bedroom on a bookcase shelf. It does make a colorful display. 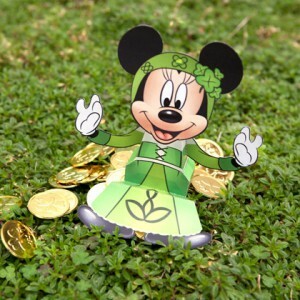 And since Mickey Mouse is into the St. Patrick’s Day Spirit . . . Minnie Mouse decided to join in the fun. 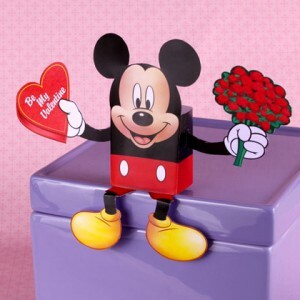 Soon you will have two more candy boxes to make and share with those loved ones who are Mickey and Minnie Mouse Fans. This should keep you busy and ahead of schedule. It’s delightful to be ahead of the holiday than rushing and trying to catch up. I know the stores get things out for Valentine’s Day right after Christmas. They are reminders for us to get them now before it is too late. I don’t know if there are Valentine’s Day parties at your child’s school. If so, you’ll need to either make Valentine’s Day cards for handing out to classmates or purchase them . . . if you make them, you can get creative. It’s always fun to give cards with treats in them. Or that have a fun theme that features a favorite Disney character. There are plenty for both boys and girls. Remember to click the image to be taken to the download page. This wraps up another post . . . come on back to see what I’ve added. I do try to add something new every other day, but sometimes time does get away from me. And paper crafts with a purpose . . . are even better. Do you remember the classic game of “pin the tail on the donkey”? Well, we’ve come a long long way from that . . . we can pin the tail on Eeyore or Bullseye. And instead of using pins or tacks we’re using double-sided tape. It is still a fun game for children. Each tail has the name of the child on it so you’ll know which child got the closest to sticking the tail on Eeyore or Bullseye. 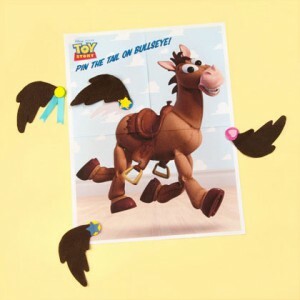 Toy Story’s Bullseye Pin The Tail activity for preschoolers is basically the same . 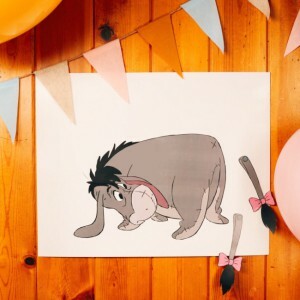 . . but instead of having paper tails and double-sided tape, the tails are made from felt and the children can decorate them with all kinds of goodies like craft-foam shapes, pieces of cut paper, ribbons, buttons and stars, hearts or stickers. The felt tails are glued on top of self-adhesive craft foam circles. The children do need to be supervised during the “art” part of the activity as well as during the game. And it would be a good idea to print the name of the child on his/her creation. During the excitement of the game, they may forget which tail they made and all will claim the “winning” tail . . . but . . . it is wise to have participation prices for all of the children. And the winner of the game can wear a felt star or metal made by the teacher. Just click the image and you’ll be taken to family.disney.com where you can print out the game. These are free for you to print on your computer and use them for a birthday party or other celebration. I remember not liking being blindfolded and then being spun around . . . but it was fun to stick the tail in my hand on the donkey. It was fun to watch the other children stick the tail on the head or off the paper. I don’t remember getting prizes . . . it was the fun of the activity that counted. But that was a long long time ago. Times have definitely changed.